Direct Stock Like Bolt-On Upgrade. Dramatically Reduces Intake Restrictions. Gain More Power & Increased Response. 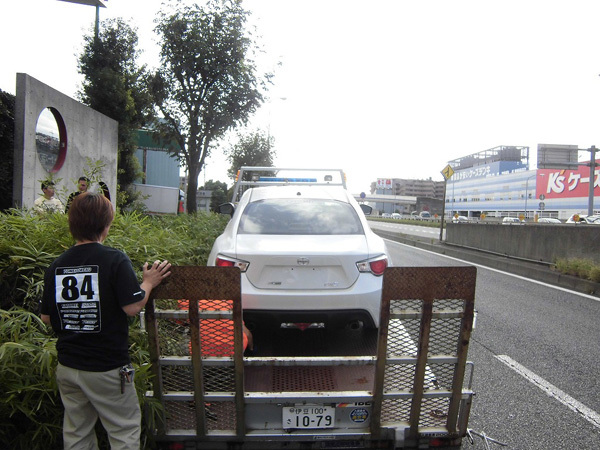 Tomei Fan : Our Subaru Time Attack look alike in Europe. 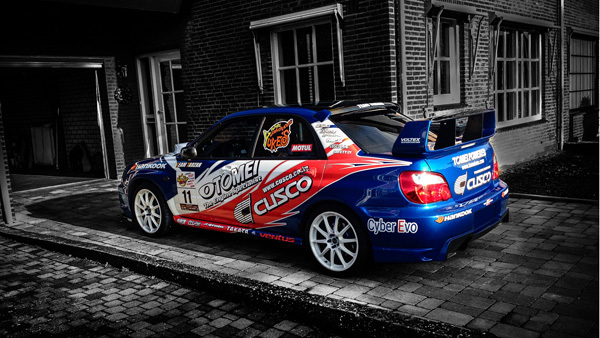 Half way around the world, a fan of our Time Attack car has outfitted his own street car with the same livery. 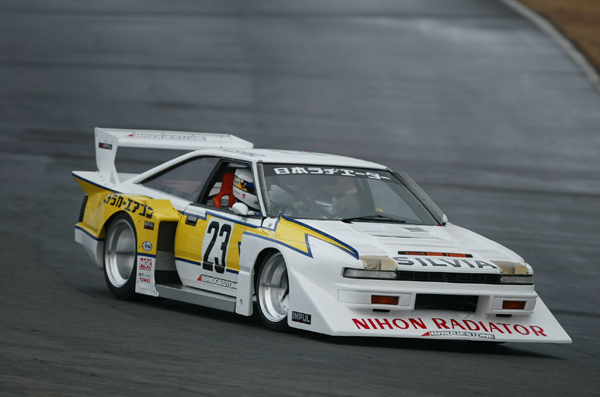 As promised, we will be developing all new products for the Toyota 86 / Scion FR-S / Subaru BRZ. 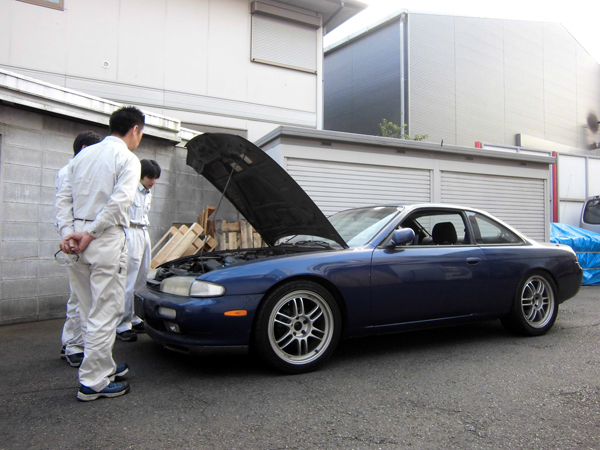 Our very own USDM FR-S just arrived today at Tomei HQ Japan. 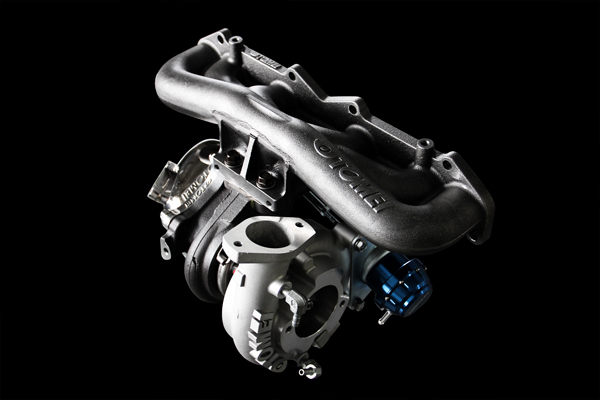 Here is a sneak peak of our upcoming all new 1JZ header. 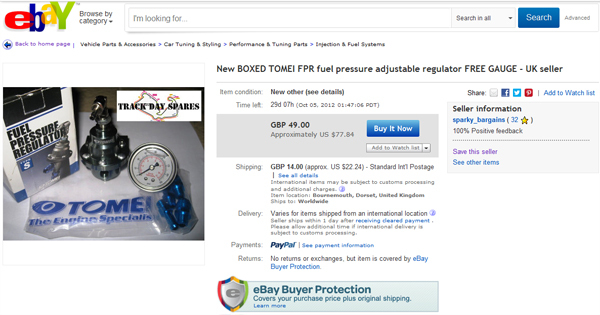 Recently, we here at Tomei have been successful with our efforts in removing these fake Tomei Regulators from eBay. Most of them have been removed by eBay. Today we have found only a couple on there, that had appeared overnight. 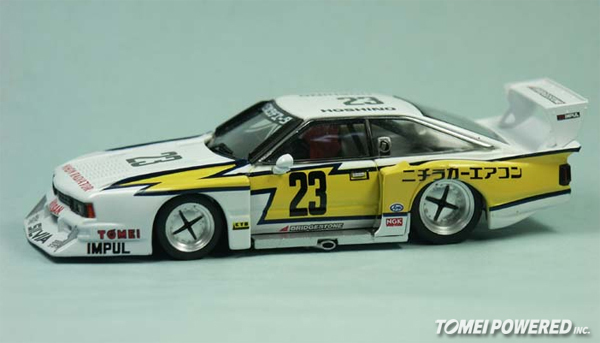 Here is another recent find of a seller on eBay selling FAKE TOMEI PRODUCTS. This time this seller is showing that they are in Kuantan, Malaysia. The sellers ID is “fique9”. 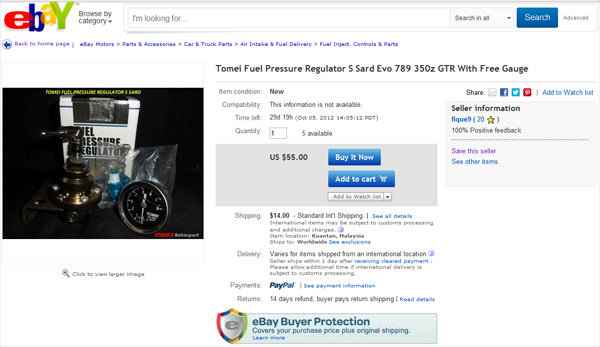 Recently, we here at Tomei have been successful with our efforts in removing these fake Tomei Regulators from eBay. Most of them have been removed by eBay. Today we have found only a couple on there, that had appeared overnight. 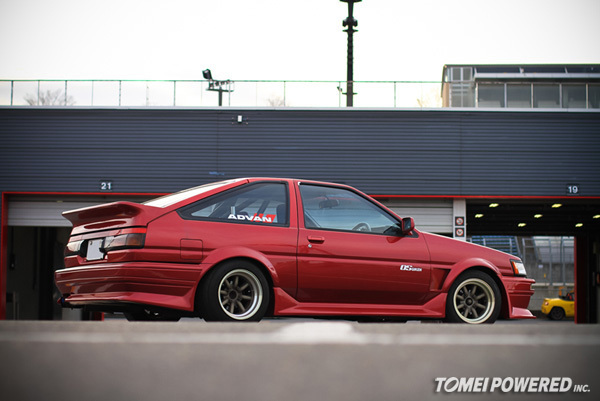 Here is another recent find of a seller on eBay selling FAKE TOMEI PRODUCTS. This time this seller is showing that they are in Bournemouth, Dorset, United Kingdom. The sellers ID is “sparky_bargains”.